Nifty futures is in strong sell mode since 3rd April and currently the resistance zone is coming near 5593.2. Reverse your position to positional buy if the resistance zone breaks on the 500Tick Charts. 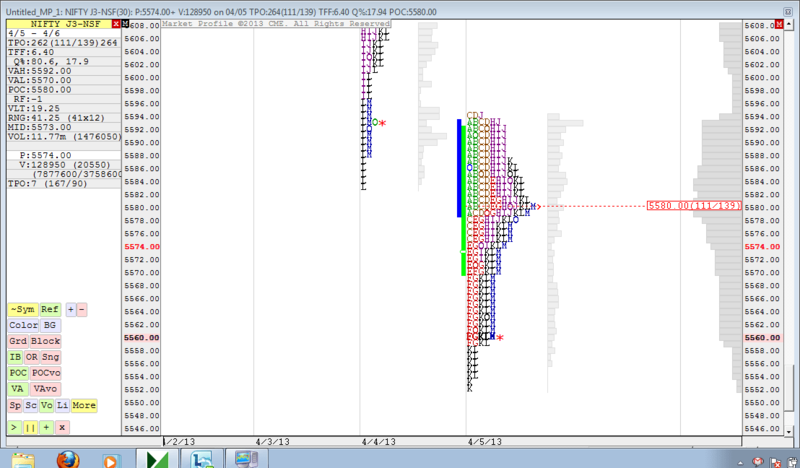 From the Profile Charts Value Area High (VAH) – 5592 and Value Area Low – (VAL) at 5570 and the Point of Control (POC) at 5580. Nifty Opening above VAH could turn the sentiment positive and could attract more buyers. Is this supertrend indicator generated chart ? ?